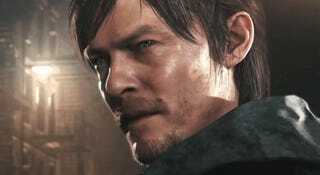 The PS4 teaser for Silent Hills may end up having nothing to do with the final product. Still, it's fascinating to hear fans speculate on what the next Silent Hills game may be about based on P.T. The actual game isn't even out yet and people are already making theories about it! I'm not 100% convinced you'll end up playing as a gamer in Silent Hills proper, but the stuff leading up to that theory is still interesting. It's also not the only fan theory out there on P.T. Over in Reddit thread, there are a few predictions about the final game's location and story. Why is this interesting? Well, the number describes the genome for a plant called Populus Trichocarpa (PT) - actually a tree that grows in the Northwest United States. Also, the header of the page is also Plant Transcription (again, PT). May be a bit tenuous, but perhaps a hint at the games intended locale? The Washington area would be a good fit for Silent Hill - its rainy, foggy and forested. What do you think, do any of these sound convincing? I'm totally into the idea of multiple realities or dimensions, but who knows! Maybe the actual game will be nothing like P.T. Still, it's kind of hard to stop the hype train.